Future-thinking concepts and prototypes with an aim to deliver a new and better mobile experience. Role: Responsible for designing working concepts and prototypes. Our senior team of over 15 people consisted of UX and UI designers, CX Architects and Business Analysts. 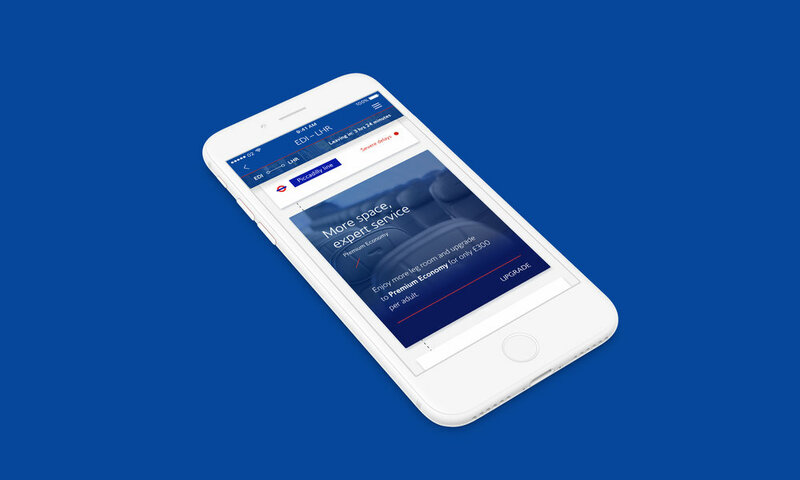 Wanting to improve customer interaction with their brand, British Airways tasked us to explore how this could be achieved through their apps. This project aimed to showcase a myriad of new features using current smartphone technology with a philosophy that the app should prioritise and communicate relevant information to the user depending on where they are in their booking (before, during or after). I joined on the tail-end of its first release: a timeline view where a user could simply check in, see travel details and receive gate information. I led the design and prototyping on a number of concepts which were tested with real customers and proposed as future releases for the iPhone app. 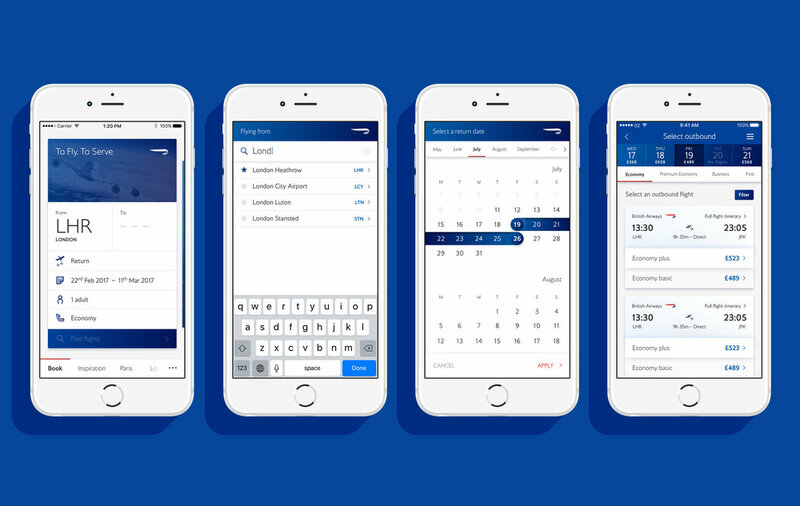 We explored ways for users to be able to upgrade their seat easily through the app, or even receive special offers from British Airways if the user had been selected for a cheaper upgrade. This concept evolved from a discussion with British Airways' in-flight department who were exploring ways of getting customers devices to interact with in-flight technology using a planes wifi. We designed a journey where a user could potentially experience in-flight entertainment and easily hand over to their seats headset once they were boarded and connected to the planes wifi. A popular feature from customer feedback was the ability to use the app to scan your passport and pre-populate whenever this information was required. I created the following high fidelity prototype using Flinto which we also used to test with customers. User feedback showed that *removing* this data was as important as adding it, which we made simple with a "hold to remove" feature. A traditional booking flow, with a more visual and interactive selection process. Had to appear tactile and very easy to navigate and change options. Using a chatbot as a starting point, this booking flow exploration aimed to give a voice to the booking journey. Already launched in the first release, I helped in the design of a phase 2 of the timeline which involved a refined look and feel and the ability to explore multiple legs of a journey in one view. This prototype explores how important information could follow the user when scrolling through the timeline.